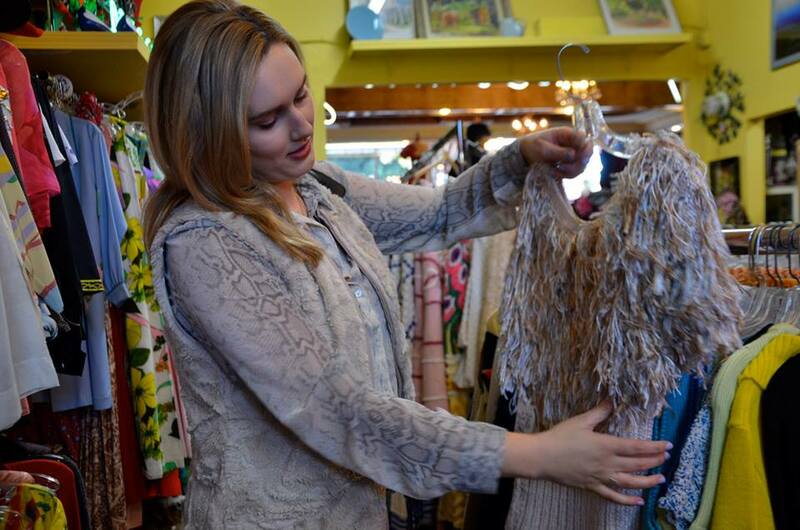 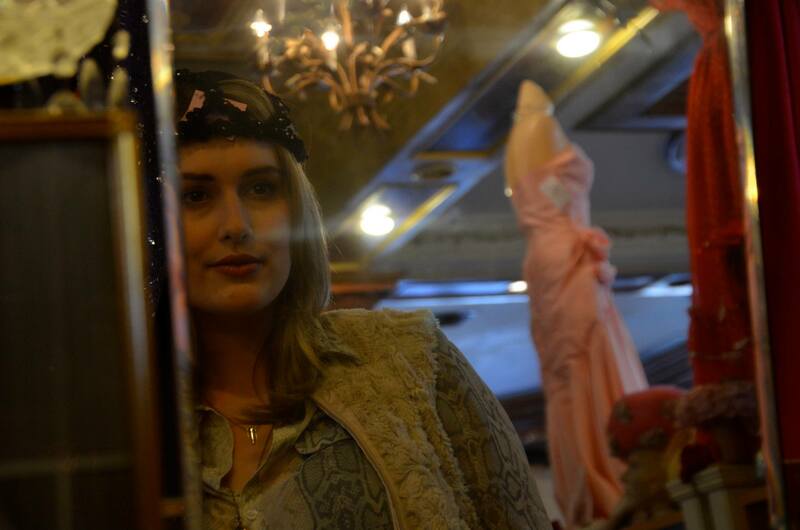 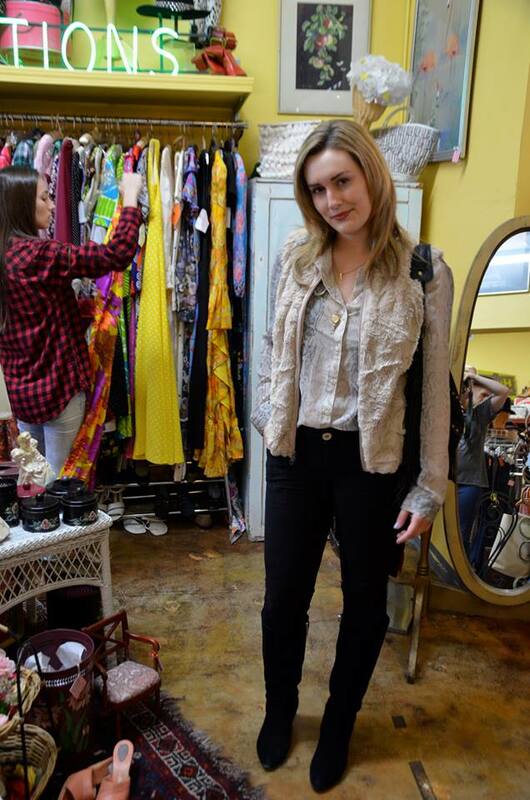 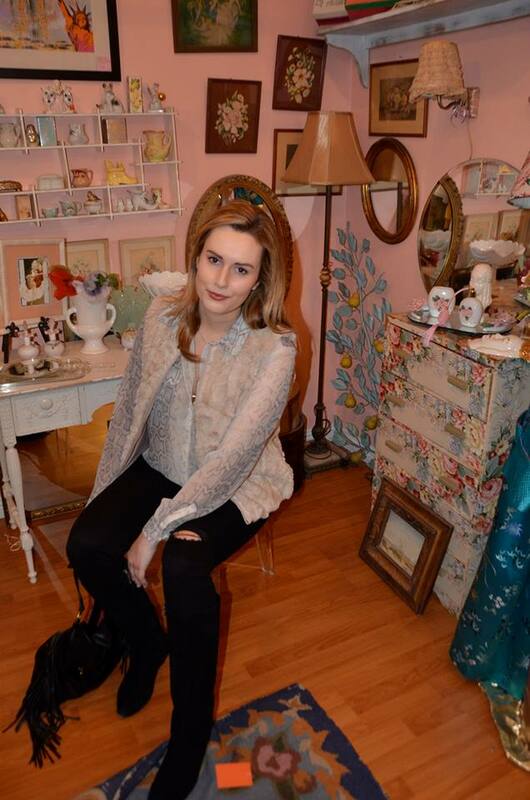 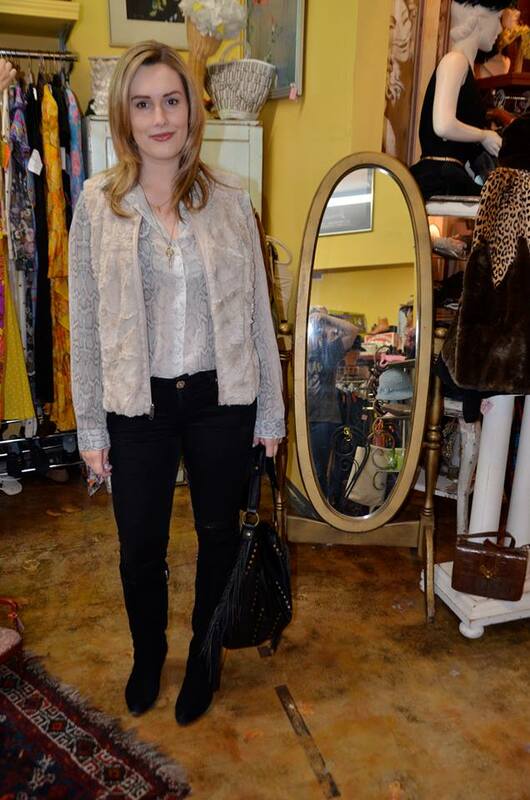 Yesterday I made a trip to one of my favorite vintage shops in Burbank with a couple friends. 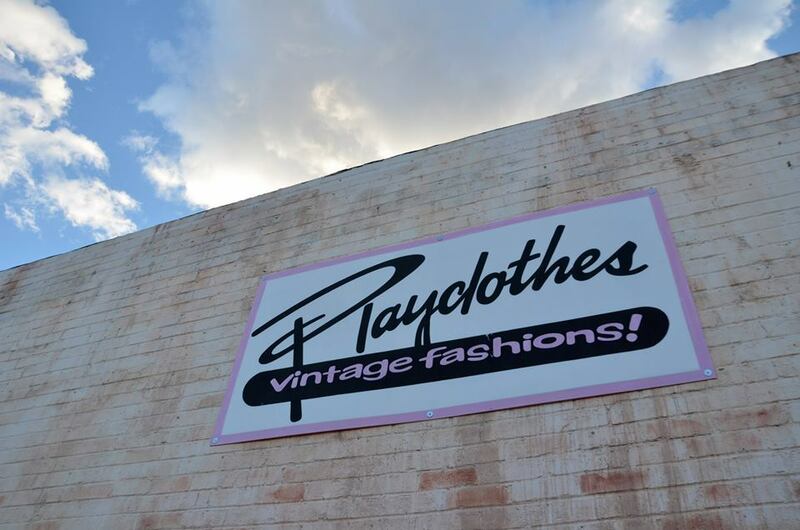 The store Playclothes, is a goldmine of classic clothing, accessories, shoes and basically anything you ever would want to find from decades past. 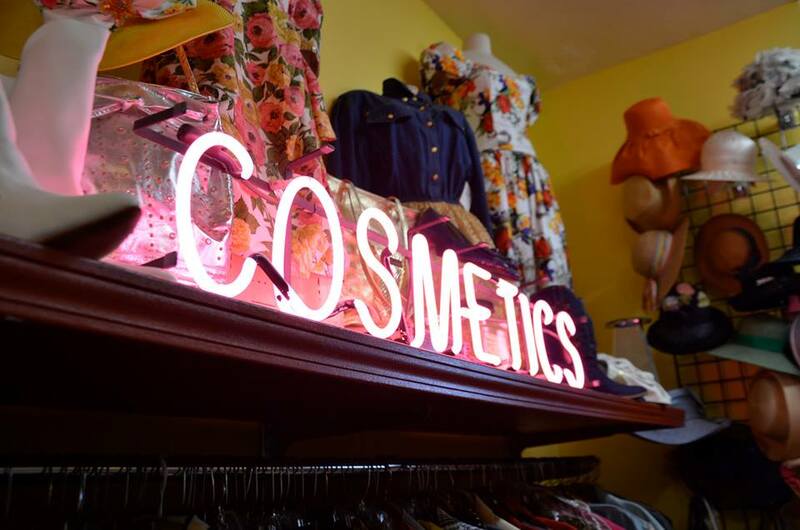 From their eclectic hat collection to their groovy 60s and 70s matching seperates there’s sure to be something there for anyone looking for a unique find. 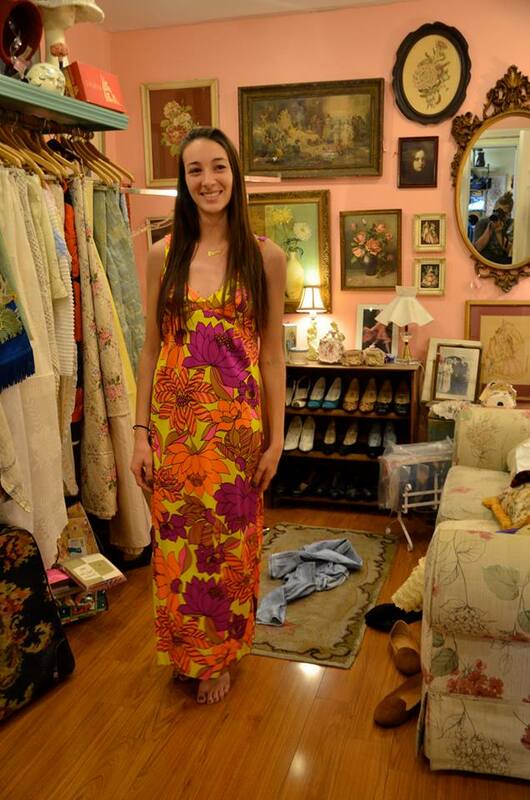 Morgan trying on a cool psychedelic maxi dress in one of the stores elaborately decorated fitting rooms.